Part number: 0445110186. 2003 - 2006 Kia Sorento 2.5 CRDi Diesel Injector. ENGINEERING WORKSHOP IN BIRMINGHAM. 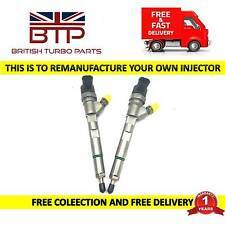 ALL FUEL INJECTORS ARE REMANUFACTURED WITH OE MATCHING QUALITY PARTS BY FULLY TRAINED TECHNICIANS. BALANCED ON TURBO TECHNICS VSR (UK) MACHINE. ONCE CHRA IS BUILT IT IS BALANCED ON TURBO TECHNIC VSR MACHINE TO OVER 250000 RPM. EACH CHRA TURBO COMES WITH BALANCE REPORT PRINT OUT. SOLD ON EXCHANGE. REMOVED FROM KIA SORENTO 2.5 CRDI XS,2006 YEARS,138 BHP,5 SPEED MANUAL GEARBOX,ENGINE CODE D4CB,PAINT CODE 3X. MY AIM IS TO MAKE SURE YOU ARE ALWAYS 100% HAPPY! We take great care to make sure you receive the item as described and in the described condition. THE FIT FOR PURPOSE. PART NUMBER MATCHES. ANY ELECTRICAL ITEM(S) THAT MAY NEED TO BE CODED/MATCHED UP BEFORE WORKING. 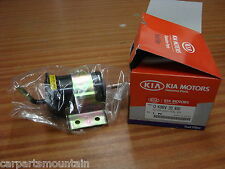 2003 - 2006 Kia Sorento 2.5 CRDi Diesel Fuel Common Rail. We are a bonefide 'End Of Life' Vehicle Dismantlers situated in East Devon. We also boast an extensive used car parts centre. 2002 - 2006 Kia Sorento 2.5 CRDI Diesel Throttle Body. We are a bonefide 'End Of Life' Vehicle Dismantlers situated in East Devon. We also boast an extensive used car parts centre. We willALWAYS resolve your issue but would ask that you call us in order to do so. IN GOOD USED CONDITION. TESTED / CHECKED BEFORE DISPATCH. ANY LOCATION OUTSIDE THE UK. Arran - KA27 KA25. Oban - PH 33, PA20-49, PA60-80, KA28. Inverness -ALL. Orkney and Shetland - Orkney KW15-17 and Shetland ZE1-3. Kia & Hyundai Manifold Absolute Pressure MAP Sensor. Kia Hyundai Manifold Absolute Pressure MAP Sensor. 2003-2011 For Hyundai Accent SE 1.6L L4 - Gas. 2003-2011 For Hyundai Accent GS 1.6L L4 - Gas. 2003-2011 For Hyundai Accent GL 1.6L L4 - Gas. We are a bonefide 'End Of Life' Vehicle Dismantlers situated in East Devon. We willALWAYS resolve your issue but would ask that you call us in order to do so. We will do our upmost to ensure this is the case on each and every occasion. IT'S BEEN REMOVED FROM WELL RUNNING KIA SORENTO 2.5 CRDI MANUAL YEAR 2005. GOOD WORKING CONDITION. MAKE : KIA . PART NUMBER : 56910-3E010CQ (PLEASE MAKE SURE THE PART NUMBER MATCHES THE ONE YOU NEED) DUE TO PREVIOUS USE THE ITEM MAY HAVE SOME MARKS, SCRATCHES, SIGNS OF OIL OR RUST. PLEASE SEE THE PICTURES. If you have any problems with our item please give us a chance to resolve it. Contact us first please. Thank you. ENGINE - 2.0 16V PETROL G4KA 142BHP. REMOVED FROM - KIA CARENS MK2 GS. IT LISTS RANGES OF VEHICLES A PART MAY FIT, HOWEVER IT DOES NOT TAKE INTO ACCOUNT ENGINE CODES, TRANSMISSION, TRIM/FACELIFT MODELS ETC. IT'S BEEN REMOVED FROM WELL RUNNING KIA SORENTO 2.5 CRDI MANUAL YEAR 2005. GOOD WORKING CONDITION. MAKE : KIA. PART NUMBER : 28410-4A100 (PLEASE MAKE SURE THE PART NUMBER MATCHES THE ONE YOU NEED) DUE TO PREVIOUS USE THE ITEM MAY HAVE SOME MARKS, SCRATCHES, SIGNS OF OIL OR RUST. PLEASE SEE THE PICTURES. If you have any problems with our item please give us a chance to resolve it. Contact us first please. Thank you. NO EXCEPTION TO THIS RULE. Security Marks. 2007 Kia Picanto 1.1 Petrol Throttle Body 35150-02600 G4HG In good condition and full working order. KIA OPTIMA 11-15. GENUINE KIA FILTER ASSY AIR. KIA SOUL 08-16. GROVEBURY CARS KIA. KIA CERATO/FORTE 2016. KIA CADENZA 08-11. KIA CARNICAL / SEDONA CRDi 2.9. FUEL INJECTION PIPE - CYLINDER 3. We have recently sent a clutch plate to Vietnam and an engine to Sweden so it can be done. Vehicle Compatibility. Unless stated all our parts are NEW, in FULLY WORKING CONDITION. State exactly what your item is. 2005 KIA PICANTO 1.0 GS 5DR. THROTTLE BODY. GENUINE KIA FILTER ASSY AIR. KIA RIO 2005-2006. GROVEBURY CARS KIA. Part Number: 31110-07000 & 31110-07150. 2007 KIA CARENS 2.0 CRDI. DIESEL INJECTOR. Local collection available. UK MAINLAND ONLY . ABS: Yes Engine Code: D4FC. 2013 KIA CEED. This has been taken from a 2013 CEED but may suit other models. Model: CEED Door Plan: 5 Door. Make: KIA Transmission: 6 Speed Manual. Throttle Body. Helpful information:- we believe this part fits models m ade from 2002 to 2006. We're rated 5/5 for service! The rest of the World = £23.65. Dedicated Support. Wing Mirror. Starter Motors. Austria, Finland, Hungary, Norway, Poland, Sweden, Switzerland = £49.89. PART(S) FOR SALE- KIA PICANTO 1.1 AIR FILTER BOX. FOR YEARS: 2004, 2005, 2006, 2007 (2005). CONDITION- USED BUT IN GOOD CONDITION. PART NUMBER- 28110-07000. 2003 - 2006 Kia Sorento 2.5 CRDi Inlet Intake Manifold. We willALWAYS resolve your issue but would ask that you call us in order to do so. Our aim is to get your satisfied and we do our best to describe the following item as good as we can and show it in the picture. IMPORTANT INFORMATION.